Happy U.S. National Parks week! While the USA celebrates its spectacular collection of national parks, we wanted to take a minute to spotlight other national parks from around the world that deserve a little recognition. China covers approximately 9.6 million square kilometers, making it one of the largest countries on Earth. And with China’s massively diverse geography comes some of the world’s most beautiful national parks. 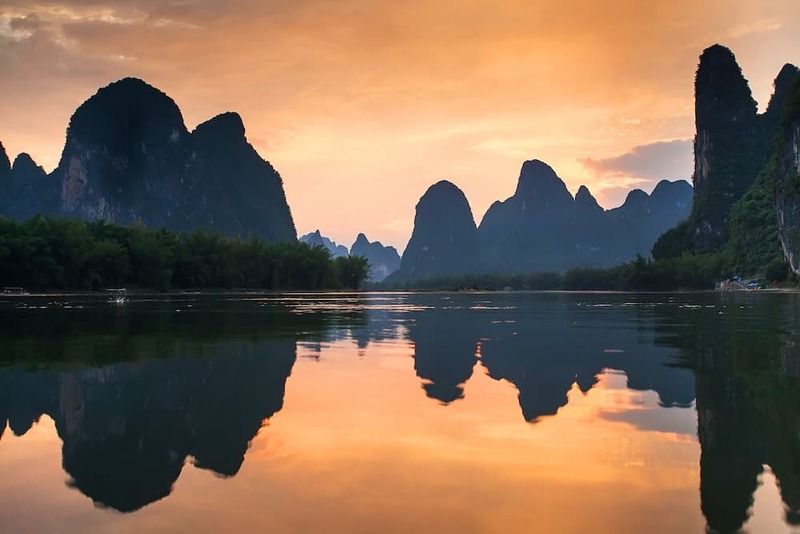 China is jam-packed with incredible natural beauty, and it’s almost impossible to see it all. But we've compiled a list of the 12 must-see national parks for your next trip to China. 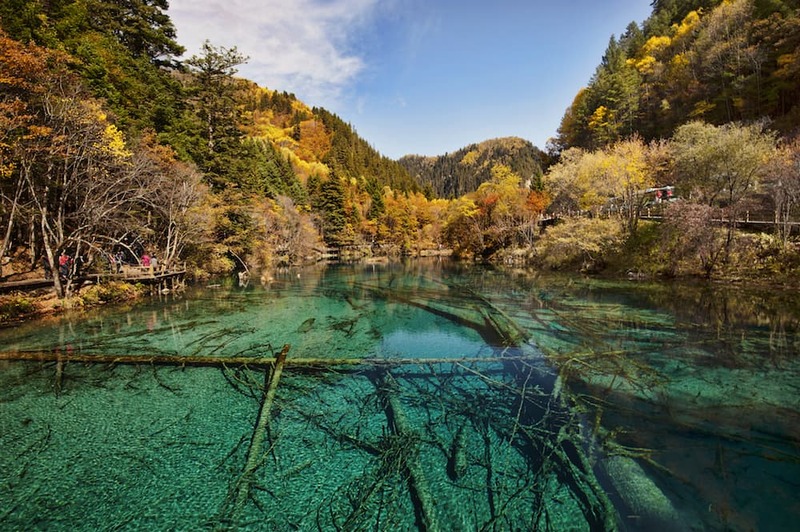 Found in Sichuan Province in western China, Jiuzhaigou spreads over 72,000 hectares. Its name, Jiuzhaigou, means “Land of the Nine Fortified Villages” and to this day seven villages are still inhabited. With colorful lakes, stunning waterfalls, and snowy peaks, this park has it all. Plus, if you want to get your eyes on some of China’s rare animals this park is home to giant pandas, red pandas, Sichuan takin and snub-nosed monkeys! 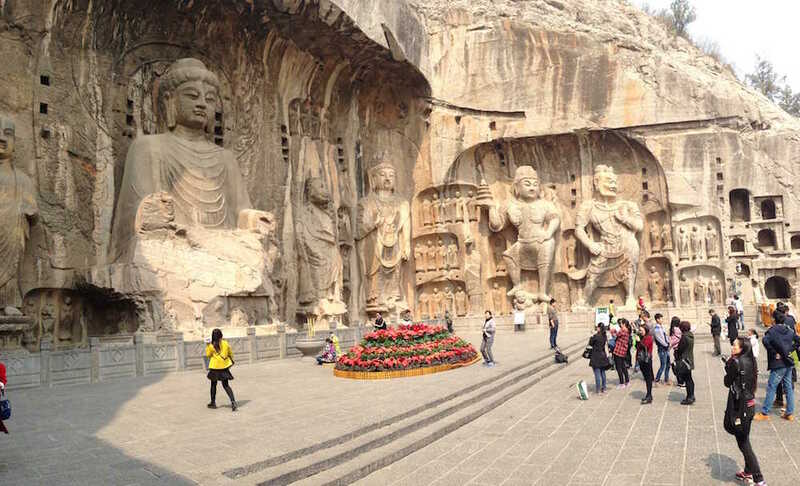 If you're looking for a fascinating historical experience, head to the Longmen Grottoes National Park. Found along the Yi River in the Henan Province, these grottoes are a series of caves and incredible stone carvings. There are a total of 2,300 caves and a whopping 110,000 statues in this park. 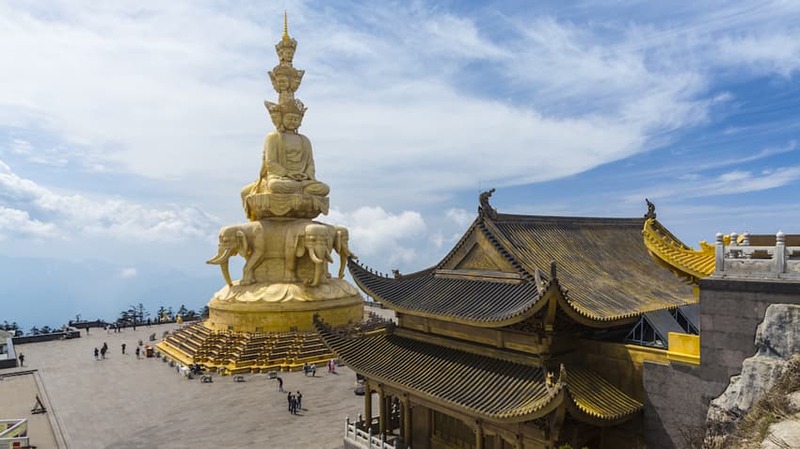 The smallest statue is merely an inch high while the tallest statue is 57-foot tall Buddha. You will also find thousands of inscriptions and 60 Buddha pagodas throughout the park. This blend of man-made and natural wonders makes this park a top attraction. Ever heard of the Yeti? Well, head to Shennongjia National Park if you’d like to catch a glimpse of the big guy as this is where many explorers claim to have found him. But with 90,000 hectares of mountains, rivers, and dense coniferous forests, it might be a little difficult. The combination of both tropical climate as well as sky-scraping peaks allows for a super diverse range of terrain and species that will blow you away. 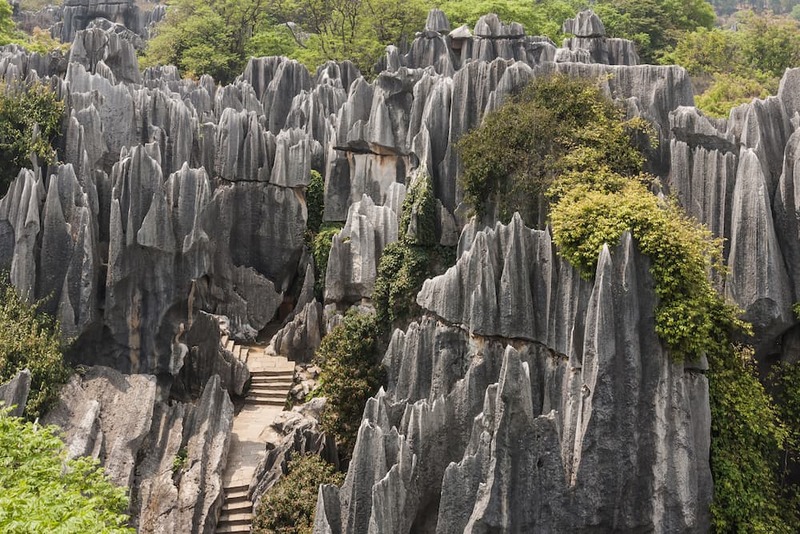 Over 270 million years in the making, Shilin Stone Forest is something out of a sci-fi movie. Known as “the First Wonder of the World”, this park is home to a literal forest of stone. But these tall, natural pillars aren't the only thing the park has going for it. With caves, waterfalls, and a lake with an island, there's plenty more to experience here. 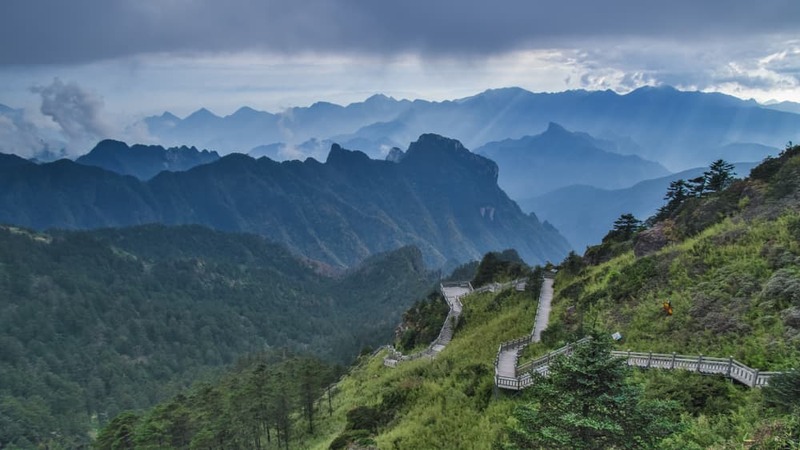 Mount Sanqingshan National Park is famous for its unbelievable scenery, including 48 towering peaks, and an outstanding number of granite pillars - 89 to be exact - that tower over the forest floor. The crowning jewel, however, is Mount Sanqing, a sacred Taoist mountain that hits 1,817 meters tall. Guì​lín and Lijiang River National Park is a stand out for nature enthusiasts. Stretching from Guì​lín along the Lijiang river all the way to Yangshuo, this park is known for its massive pinnacles that border the water. The giant rock formations are covered in lush vegetation, and nearby forests beckon travelers to explore. *Read our Guì​lín Edition for more! Want more? Receive our weekly editions! Welcome to the park that inspired the fictional world in the film Avatar. 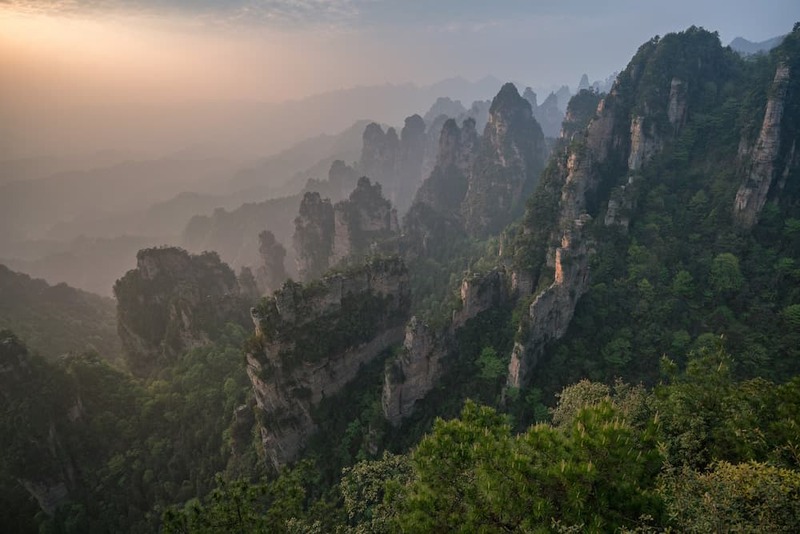 Commissioned back in 1982, Zhangjiajie National Park is China’s first national park, and by far one of its most stunning. This park is famed for its 3000 iconic sandstone pillars that dot its landscape. And this park isn’t just here for show - explore gorges, canyons, rivers, and waterfalls through a day of hiking or mountain-climbing. Also known as the “Yellow Mountains”, Huangshan National Park is one of the most famous mountainous areas in China. The park's nickname comes, not from the color of the mountains, but from legendary Yellow Emperor (Huang Di) in 747 AD. This area is surrounded by myths of ancient immortals and has been an important cultural site since the Tang Dynasty. 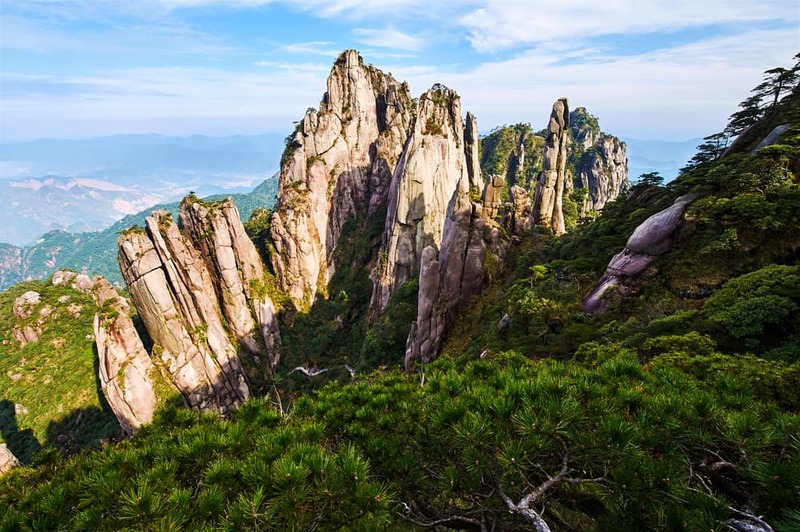 Legend has it that the elixir for immortality can be found at the summit of Mount Huangshan. Mount Song National Park is revered as a sacred place. Found in Henan Province near the city of Dengfeng, it is an important location within Taoism and Buddhism. Mount Song in particular is the central of the Five Sacred Mountains to which the emperors of China would make pilgrimage. Here, you’ll also find the famous Shaolin Temple, the birthplace of Zen Buddhism and Shaolin Kung Fu over 1,500 years ago! Lushan was once known as the Summer Capital of the Republic of China due to its unbelievable natural beauty. 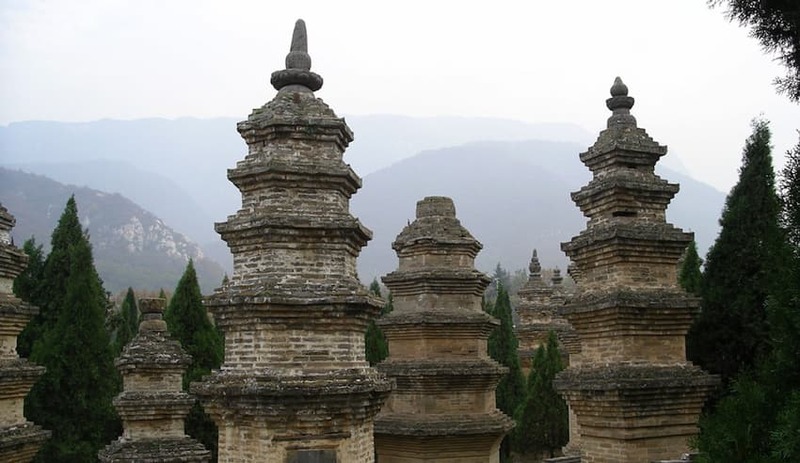 The park is over 30,000 hectares of mountains, caves, lakes, and botanical gardens along with sacred sites of Buddhism, Taoism and Confucianism that date back over 2,000 years! 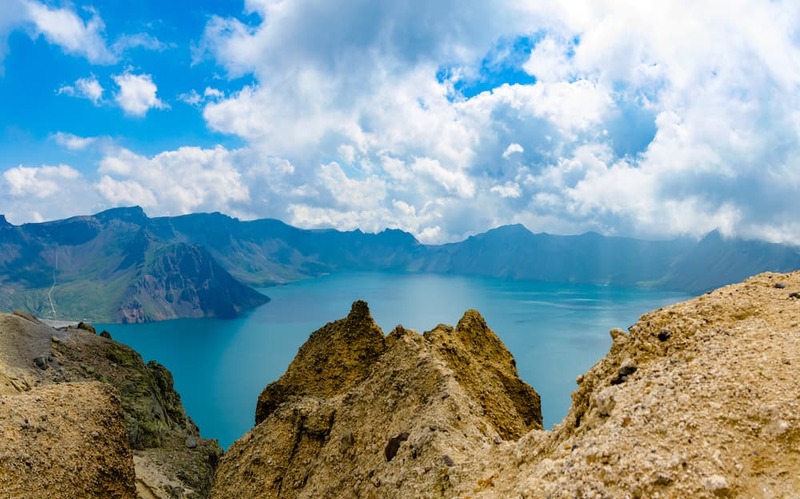 Changbaishan is China’s largest nature reserve and has plenty to offer for those looking for adventure. 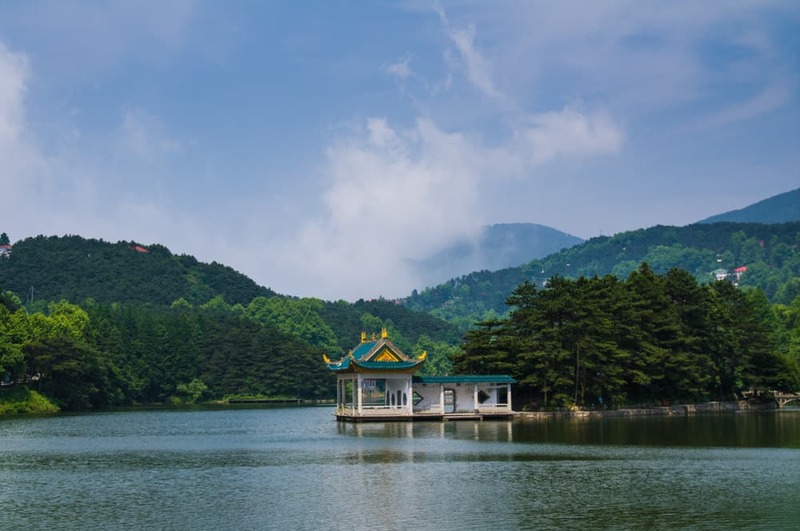 This park is situated next to the Eternally White Mountain, a dormant volcano, and is home to Tianchi Lake (translated as “Heavenly Lake”). But what makes this park even more special is the rare wildlife that can be found here, including the Siberian Tiger. Emeishan is listed as a UNESCO World Heritage Site and serves as one of the most tranquil national parks found in China. This park boasts an extensive list of hiking trails and ancient temples that are open for exploration. Emeishan is also a popular destination for Buddhist pilgrims.